Condition: 100% Brand New Color:Silver Material:alloy Size:21cm+5cm Quantity:1 pcs NOTE: 1. Please note the photo does not show actual size, please refer to Description for size details. 2. Please allowed 1-3mm differences due to manual measurement, thanks. 3. Due to the difference between different monitors, the picture may not reflect the actual color of the item. All great excellent quality, fast delivery, I liked the bracelet! Nice bracelet, arrived very quickly! Cute bracelet. Rings looks good. Very nice ANKLE equal to that of the photo!! It a SOUND special. will buy More!! Super, many thanks. 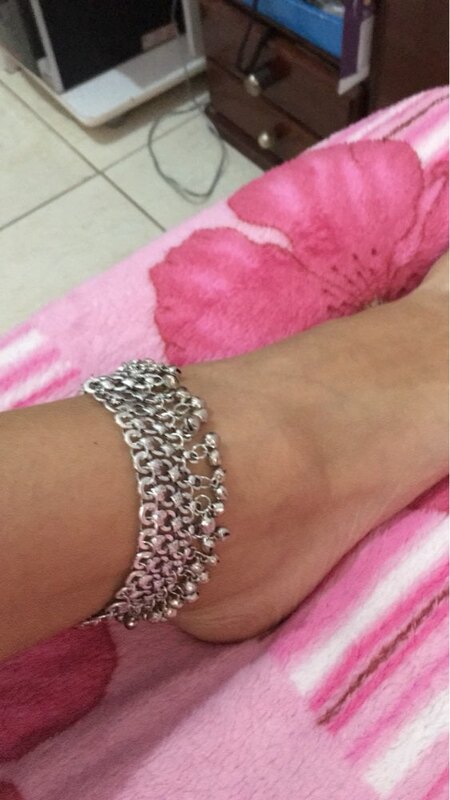 Very beautiful effect around the ankle. Fast shipping.. exactly same as described..